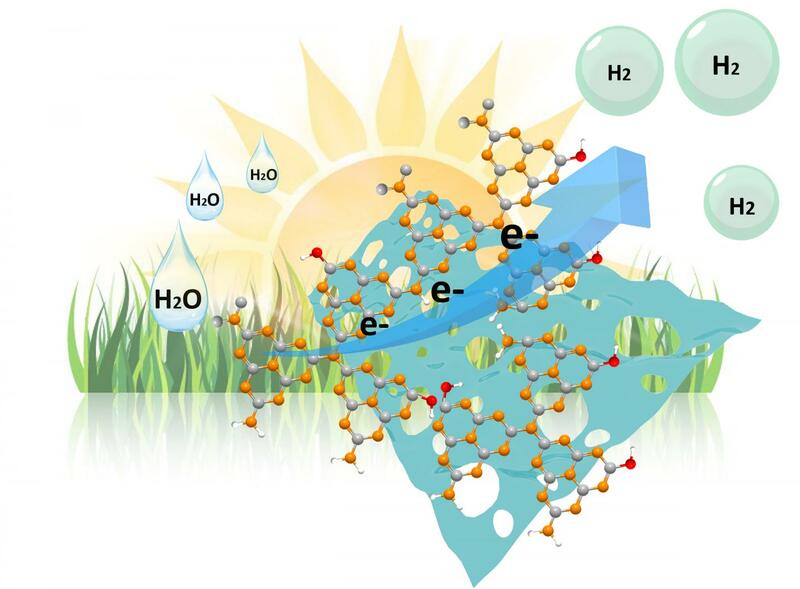 Bin Zhang and his team specialise in the synthesis of polymeric carbon nitrides (PCN) that is considered a good candidate as a catalyst for hydrogen production. The PCN molecules form a structure that can be compared to thin layers of filo pastry dough: sheets of this material lie on top of each other tightly packed together. The Chinese chemists have now succeeded by means of a relatively simple two-step heat treatment in separating the individual sheets from each other – the same way that puff pastry separates into individual crispy layers in the oven. The heat treatment produced samples consisting of individual nanolayers with large pores containing different amino groups with specific functionalities. Petit and his team investigated a series of these PCN samples at BESSY II. "We were able to determine which amino and oxygenated groups had been deposited in the pores", PhD-student Jian Ren and co-first author of the publication explains. They could analyse how specific amino groups pull electrons to themselves, a particularly favourable property for splitting water, and how new oxygen-based defects were formed. When combined with nickel as a co-catalyst, those samples of nanostructured PCN actually exhibited record-breaking efficiency, eleven times that of normal PCN under visible light irradiation. "This demonstrates that PCN is an interesting potential catalyst for solar-to-hydrogen production, approaching the efficiency of inorganic catalysts", explains Petit, who is a Volkswagen Foundation Freigeist Fellow. "Furthermore, this work also shows that soft X-ray spectroscopies are essential tools to unravel possible catalytically active sites on photocatalysts."